We are a Melbourne Timber Fencing supplier located in Ravenhall, supplying quality timber fencing materials to most of Melbourne and surrounding suburbs. Our yard was opened in 2000 as small family owned and operated business. Today our yard is now located in Ravenhall and is still a small family owned and operated business. This way we can provide a great service, with quality products that wont be found elsewhere. 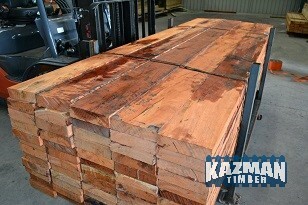 Our timber yard is open to both the Trade and Do-It-Yourself market. Some of the suburbs we service are: Sunshine, Sunshine North, Taylors Lakes, Keilor, Sydenham, Melton, Laverton, Footscray, Sunbury, Point Cook, Epping and many other suburbs. If you’re looking for someone to construct your new fence, we can also help! We have an existing clientele of professional and experienced fencers that can construct your fence. If you have a fencing enquiry or require assistance, please don't hesitate to contact us!.